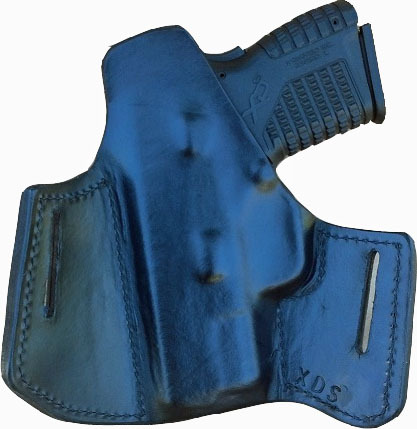 How to change your A-2 Dual Purpose (Carry) holster from IWB to OWB? 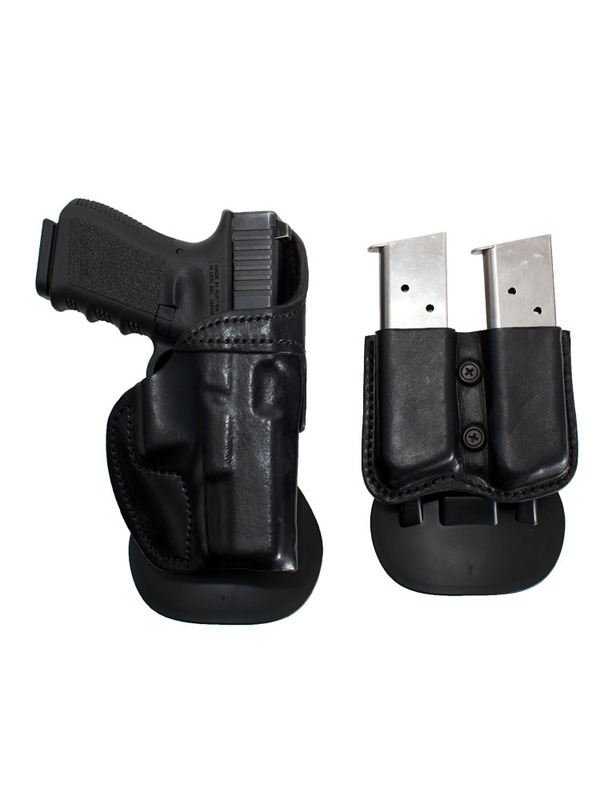 This holster gives you the best of both worlds by offering an inside the waistband (IWB) holster that converts to outside the waistband (OWB) by easily taking off our USA powder coated holster clips. When removed they reveal our molded belts slots for our famous close riding pancake. 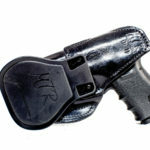 This holster has become one of our top sellers due to the versatility of having both IWB and OWB capabilities. It’s best to leave the hardware on, once the clips are off. This will help cover the stud that’s embedded into the leather and also prevent you from losing the hardware. 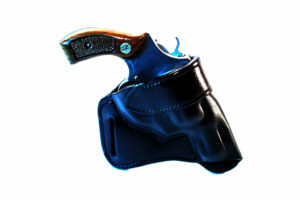 All of our A-2 holster has a custom combat cut for each weapon, this will aid in a faster draw of the weapon. 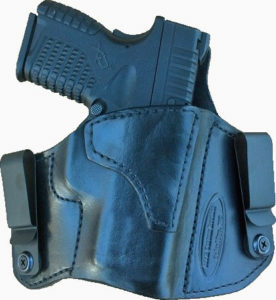 You will also notice that we use heavy duty nylon industrial strength thread to endure great stress on the holster for long term. Don’t forget to checkout our professional slick edges. 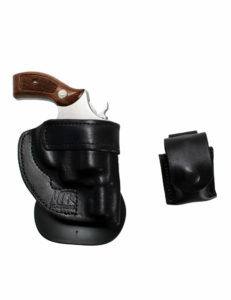 We use two pieces of leather to construct the holster’s foundation. With our profession slicking technique we conform the two edges into one single slick edge. 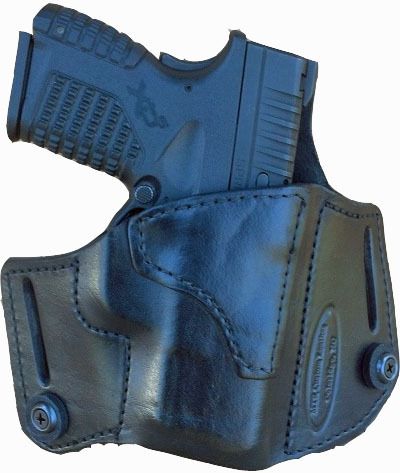 Each A-2 is molded specifically to each weapon of choice to sustain a great glove fit retention and detail in the holster. We only use the finest bull hide and hardware on this holster to ensure the longevity and durable wear for years to come. 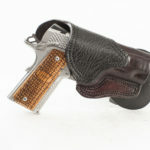 We reinforce the mouth for easy one handed re-holstering and to prevent collapsing while carrying IWB. This holster by far is a great wearing holster both OWB and IWB. The A-2 is tuckable, so you can tuck your shirt behind the metal clips. 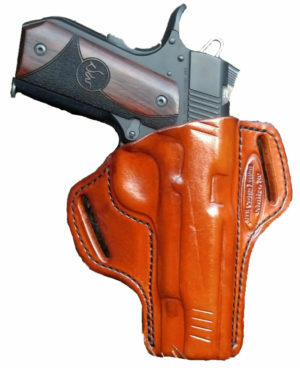 The holster clips/belt slots can fit up to 1-1/2 gun belt(2 layer) or 1-3/4 regular belt (1 layer). If you do a loose tuck than the shirt can come back over the metal clips to conceal them. You can also upgrade to the NEW UltiClips3 to give you better concealment of the clips. Adding the ulticlips will give you the adjustability to position your clips for the perfect draw. Whether it be ride height or adjusting the cant of the holster. With the ulticlips you do not have to wear a belt. You can easily clamp the clips straight onto the pants or any material. 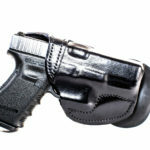 Keep in mind if you are going to wear a belt, it will aid in better retention of the holster. Make sure it’s a good stiff heavy gun belt like our GB-1 gun belt. Support mtr custom leather by getting one of there new neon richardson hats.